１．	Ohazama A, Modino SA, Miletich I, Sharpe PT. Stem-cell-based tissue engineering of murine teeth. J Dent Res. 2004 Jul;83(7):518-22. ２．	Modino SA, Sharpe PT, Tissue engineering of teeth using adult stem cells. Arch Oral Biol. 2005 Feb;50(2):255-8. 1. Langer R, Vacanti JP. Tissue engineering. Science 1993;260(5110):920-926. 2. Young CS, Terada S, Vacanti JP, Honda M, Bartlett JD, Yelick PC. 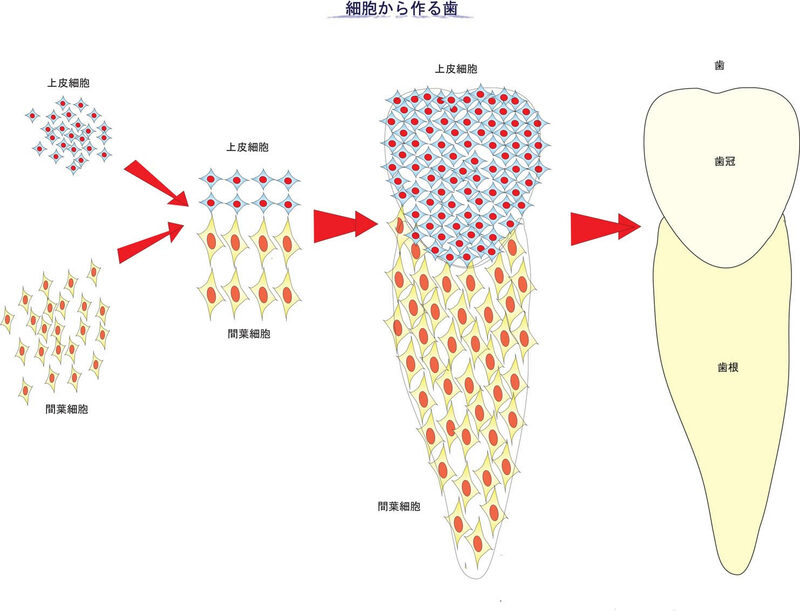 Tissue engineering of complex tooth structures on biodegradable polymer scaffolds. J Dent Res 2002;81(10):695-700. 3. Duailibi MT, Duailibi SE, Young CS, Bartlett JD, Vacanti JP, Yelick PC. Bioengineered teeth from cultured rat tooth bud cells. J Dent Res 2004;83(7):523-528. Copyright (C) 2005-2013 Community for Research & Industry Cooperation of Regenerarive Dentistry.All Rights Reserved.